With over half of the National Health Service’s 1.3 million workers losing the battle of the bulge, NHS Chief Executive Simon Stevens has urged doctors and nurses to kick junk food and shed some pounds to set a good example to patients. Obesity is putting huge pressure on the health service, which is struggling to stomach a £30 billion black hole in its budget. The swelling problem is believed to eat up more than a third of the service’s £110 billion bank balance. Under the plans, junk food could be off the menu in hospital canteens and overweight doctors and nurses encouraged to take part in weight loss competitions. 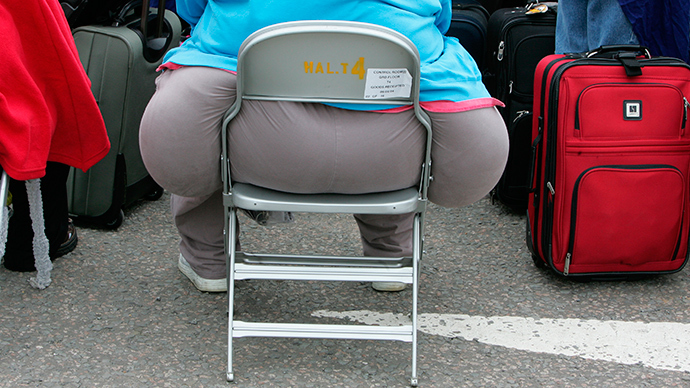 Stevens plans to target 300,000 of the roughly 700,000 NHS workers who are classed as overweight or obese in order to add weight to public health campaigns. By setting a good example, it is hoped the NHS can trim the fat on its budget overhang. “It is hard to talk about how important this is if we don’t get our act together,” Stevens told the Sun newspaper. Many medical staff report having trouble discussing weight issues with their patients, who are usually highly sensitive about the subject matter. 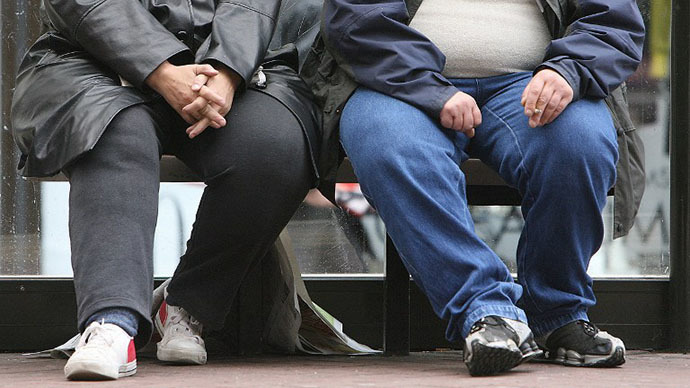 About a quarter of the UK population is now considered obese and 67 percent of men and 57 percent of women are either overweight or obese, according to a recent Global Burden of Disease study. 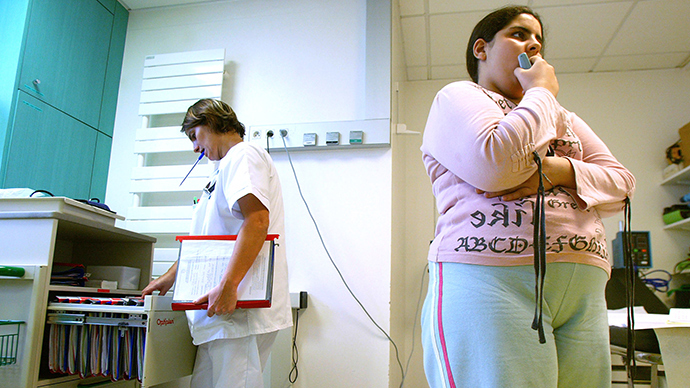 More than a quarter of UK children – 26 percent of boys and 29 percent of girls – are also overweight or obese. 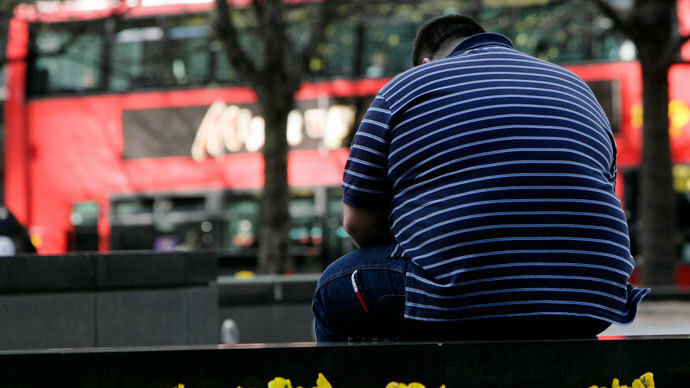 As many as one in 10 deaths in England and Wales are now caused by obesity. 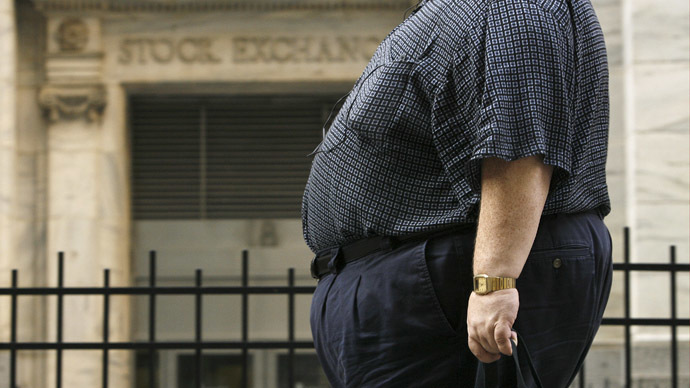 The trend has been linked to a prevalence of fast food and ready meals and lack of exercise. Being overweight can radically increase the risk of developing heart disease, type-2 diabetes, cancer, hypertension, osteoarthritis and depression. Blaming NHS staff and patients for the budget gap is only one take on the story, however. Despite government funding being maintained, the system is having to deal with increased demand while funding remains the same. It is becoming increasingly clear that cuts are not sustainable, with £20bn of savings forced upon the service by 2015. The impact of staff cuts is also beginning to bite, as 7,000 nurses were axedsince 2010. Meanwhile the government’s Health and Social Care Act has forced thousands of new expensive tendering processes, while theTransatlantic Trade and Investment Partnership (TTIP) threatens the prospect of private firms suing for lost business if services stay in public hands. NHS staff may be stuffed, but the service is increasingly starved.